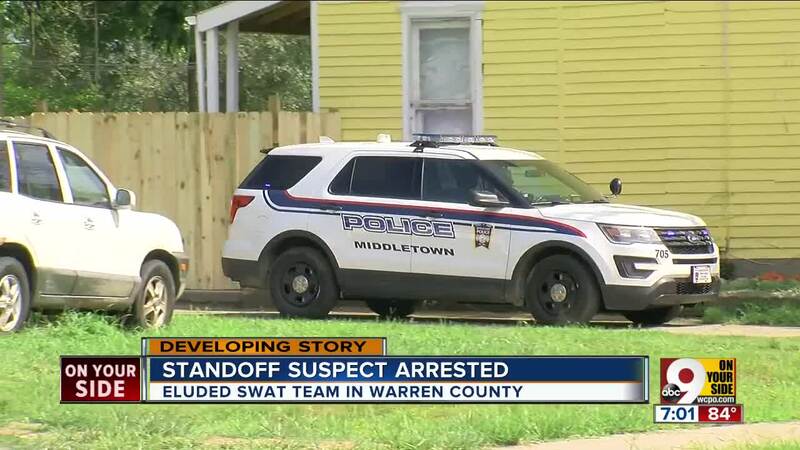 MIDDLETOWN, Ohio -- Police took a man into custody who they said fled from a standoff in Franklin Wednesday and was involved in another standoff with law enforcement in Middletown Thursday. The Warren County Sheriff's Office had asked for help in locating Ebb Duhamel, who they described as an armed man who stole a car, fled from deputies and threatened two people inside a home. Duhamel was found inside a house in the 600 block of Baltimore Road, WCPO news partner the Journal-News reported. Officers told the Journal-News that they heard a gunshot from the home. A tactical team breached the back door and took him into custody. No one was hurt, but authorities arrested three other people, the Journal-News reported. Duhamel was able to escape capture from a SWAT team outside the house overnight, according to the sheriff's office. Fireworks and holiday commotion likely played a role in his getaway, deputies said. The sheriff's office said Duhamel was armed. Deputies responded to a report of a stolen car about 9:30 p.m. Wednesday at a home in the 7300 block of Mentz Road, the sheriff's office said. Deputies called in SWAT when the man threatened authorities and the people in home. The standoff ended at about 2:30 a.m. when the suspect got away. No one fired their guns, and no one was hurt. Authorities said they found drugs and ammunition in the stolen car. Duhamel was wanted for aggravated menacing, inducing panic, and violation of a temporary protection order, according to the release. 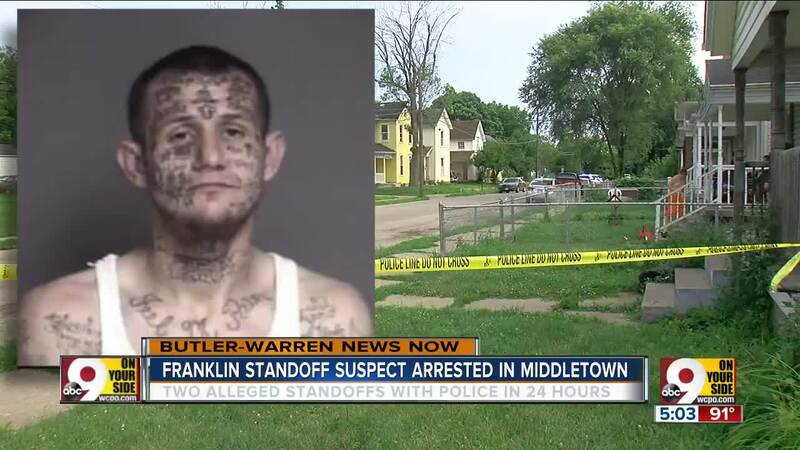 Duhamel was being held in the Middletown Jail, according to the Warren County Sheriff's Office.